Bharti Airtel has finally announced its rumoured 4G VoLTE smartphone to compete with the Reliance JioPhone. 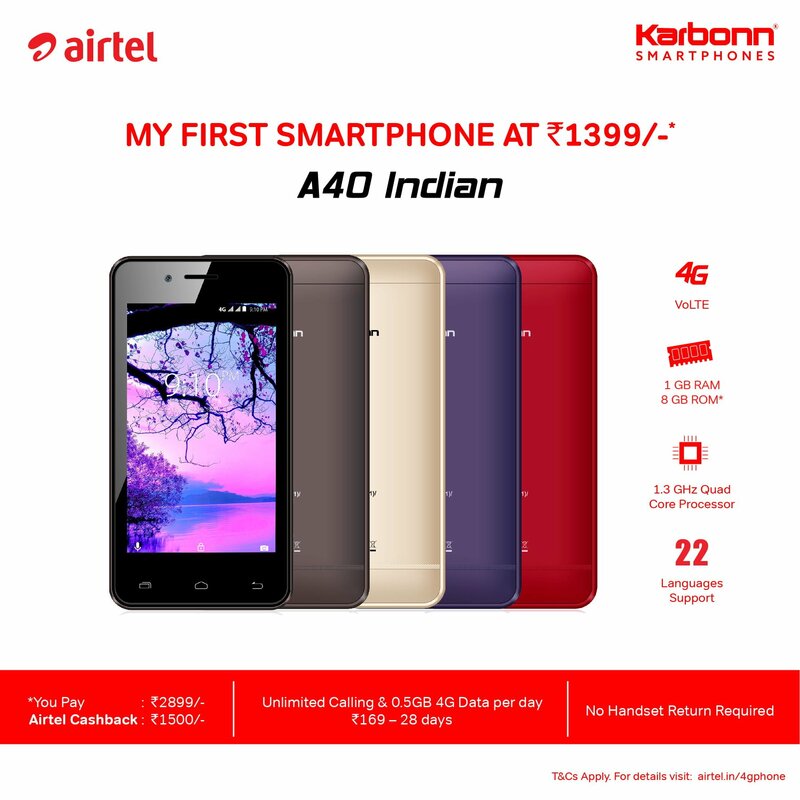 For the Airtel 4G Smartphone, the company partnered with Karbonn and announced a smartphone named Karbonn A40 Indian. 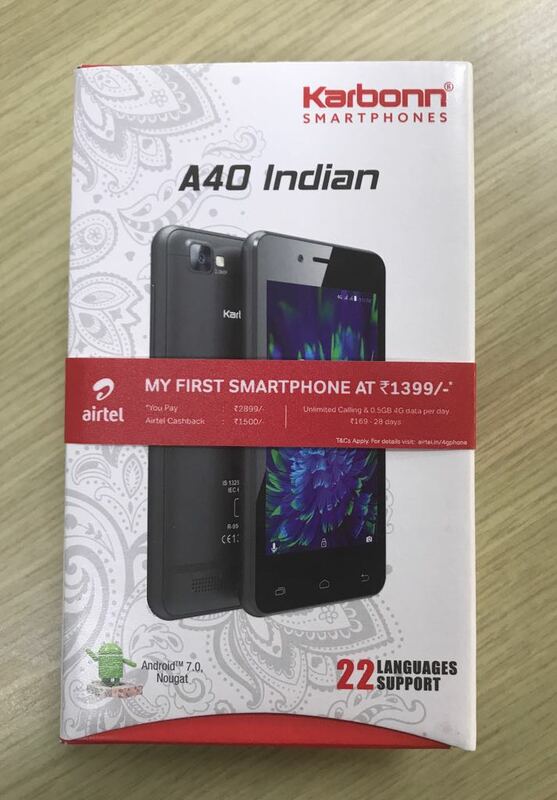 The Airtel 4G Smartphone is effectively priced at Rs. 1,399, but you’ve to pay Rs. 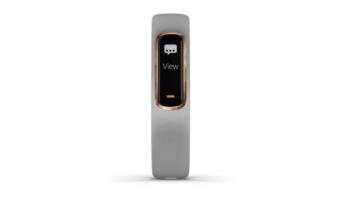 2,899 up front while purchasing the device. Airtel will refund Rs. 1,500 after 36 months, but you have to constantly recharge the device to get Rs. 1,500 refund amount, which makes the device’s price as Rs. 1,399. In contrast, JioPhone is effectively priced at Rs. 1,500, which will be fully refunded after three years. And users have to recharge with the Rs. 153 plan in order to get the refund amount. But Airtel 4G Smartphone and JioPhone’s terms and conditions differ a lot. Here’s how Airtel 4G Smartphone fares against JioPhone. 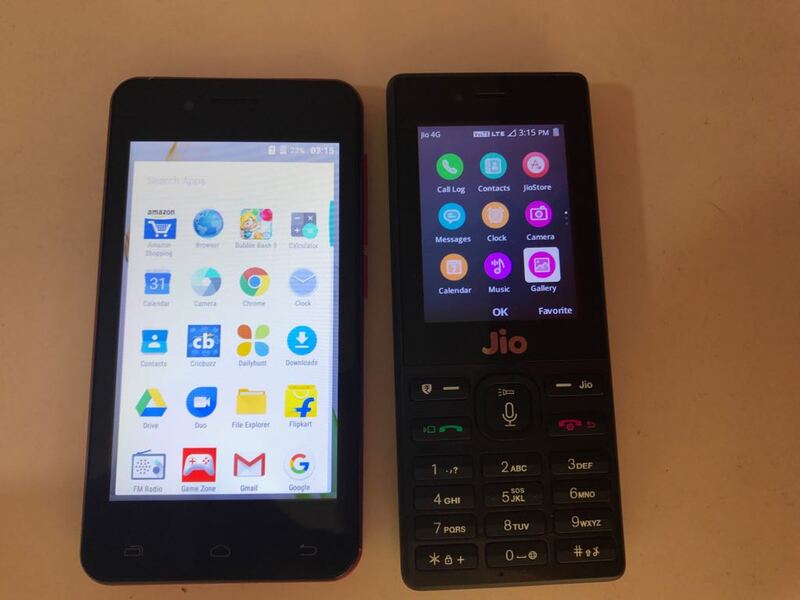 First things first, the Airtel 4G Smartphone is a true smartphone that runs Android OS, while Reliance JioPhone is a feature phone that runs KaiOS. So, Airtel 4G Smartphone has an advantage over here because users can enjoy all the apps such as WhatsApp, Facebook, etc, and the device also runs latest Android 7.0 Nougat OS. And in JioPhone, the KaiOS still in nascent stages, and there are not many applications supported as of now such as YouTube, WhatsApp, etc. 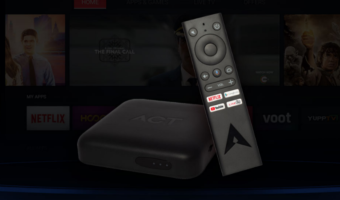 However, you get all the Jio’s digital apps such as JioTV, JioCinema, etc. The Airtel 4G Smartphone comes with a 4-inch HD display, which is a touchscreen display, unlike the 2.3-inch QVGA display seen on the JioPhone. Internals are also better on the Airtel 4G Smartphone such as the 1.3GHz quad-core processor, 1GB of RAM, 8GB of storage, and yeah, you can use the device in any condition with any network-2G/3G/4G. The JioPhone, on the other hand, offers 512MB of RAM, 4GB of storage, and yeah, only 4G service. That said, JioPhone has a bigger battery of 2000mAh compared to Airtel’s 1400mAh battery. One thing which lets the JioPhone down is the network lock issue. The JioPhone is locked to Jio 4G network, meaning you can’t use any other network. 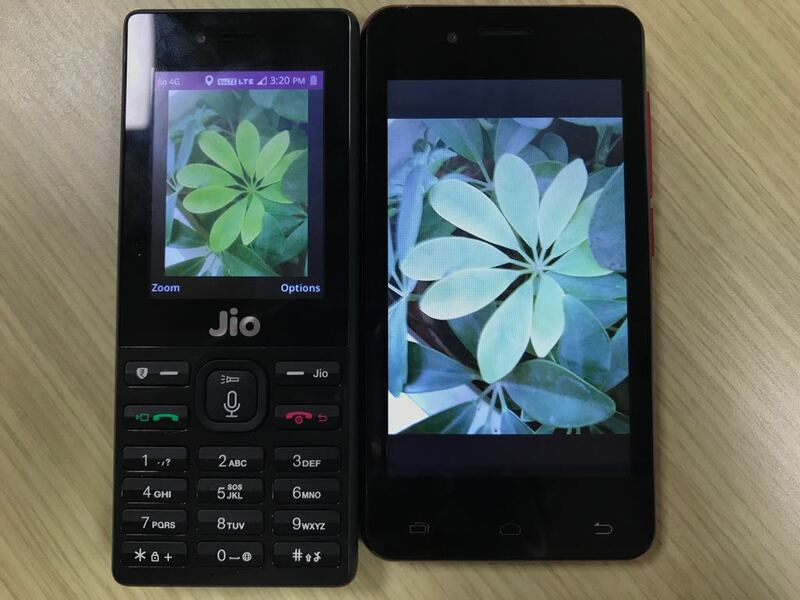 As of now, Jio is selling only the single SIM variant of the JioPhone. On the flip side, the Airtel 4G Smartphone is not a carrier locked smartphone, meaning you can use any network in the smartphone. 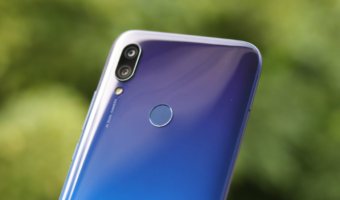 Also, it accepts dual SIM cards, allowing you to use the Airtel network and another network of your own, in fact, you can use a Jio 4G SIM card as your secondary SIM card. Another annoying condition revealed by Jio recently is that the user has to the JioPhone after three years, and he can collect his Rs. 1,500 security deposit amount. That said, Airtel won’t take your smartphone back. In fact, it returns you Rs. 1,500 (Rs. 500 after 18 months and Rs. 1,000 after 18 months) after 36 months, and you can keep the device.